When do card designs make good gift ranges? If you visited the Greeting Card Hall at Spring Fair 15 years ago, all you would have seen would have been ranges of greetings cards. Fast-forward to this year, and when you walked the hall you will have seen a significant proportion of the exhibitors with non-card products on their stands, ranging from coasters to cushions. What has led to this diversification and can all card publishers put any design on any product format? When this first started, seeing additional product formats would have been unusual, but now there is an expectation from retailers that they can buy the card designs on other product formats too. This is not always the case. What is it about a card design that means it will be successful on a gift too? Given a card designers understanding of print, paper and board - the obvious place to start is with other paper based, usually stationery, products. The great thing about stationery is that there are still a lot of stationery manufacturers in the UK so depending on the types of products chosen, publishers don’t have to go abroad to source them and often their card printers will produce other paper products too or know someone who does. There are plenty of other gift type products that can be easily sourced from the UK too including coasters, mugs, t-towels and cushions. For smaller card publishers this means that moving into other product areas does not have to be a massively expensive or difficult job as the order minimums required by UK producers are normally significantly lower than those required by Far East manufacturers and the lead times much shorter too. 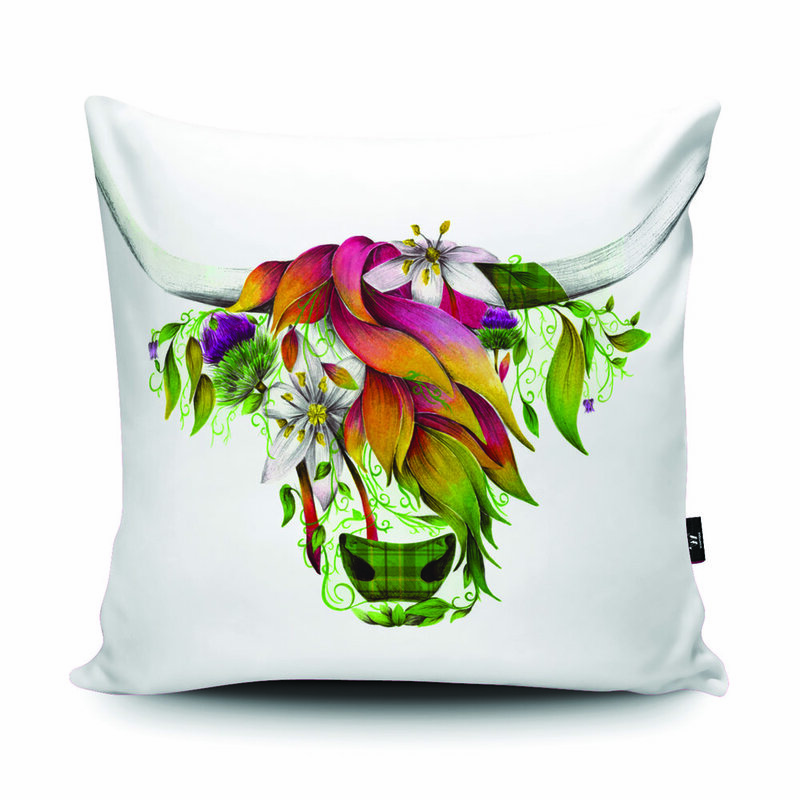 KAT BAXTER creates these stunning animal florals in the UK. This product diversification can bring big benefits, particularly for those dealing with independent retailers or small chains of card and gift shops. The price points of these additional products will normally be higher than on cards which means that retailers will almost certainly place larger value orders which in turn will mean that the ranges have much more visual presence in their shops. If the range proves to be successful for them it will encourage them to continue to buy from the publisher and build a loyalty to their brand. If a publisher had success with other product formats and reproducing their designs on different substrates, it is quite possible that manufacturers from other industries may approach them wanting to license the designs on to their own products and this can be a very lucrative additional income stream. As you read this you may be thinking this sounds too good to be true... so why doesn’t everybody do it? There are a lot of reasons why not and the first has to be to do with the suitability of the design concept for other product types, some design styles and imagery just won’t work on other products either because they wouldn’t be relevant or just wouldn’t make sense. I would suggest that there are a number of things that need to be considered when deciding whether a range, image or style is suitable for use on other products and most of them come down to 'will it look good'! Does the image suit the shape of the product? How much of the image will you lose or have to restructure to make it fit? Will the way a product is produced suit the image? The way designs are applied to mugs can mean that you will often have white borders top and bottom and around the handle which can make them look very poor quality. The image must ‘make sense’ on the product, how often do you see an image put on to a notecard which has no real focus but has just been cut out of a bigger piece of a lovely design but as a section on its own on a card just doesn’t work. The extract from this Matthew Williamson design has been carefully selected to ensure it makes a really appealing card image too. Is the image relevant to the product? Just because an image, line or sentiment is suitable for a card doesn’t mean it will work on a coaster or tin. Where humour is used it needs to be quick and fairly instant anything that takes a lot of reading before it makes you laugh rarely works. Reproducing the images on different substrates may not work very well either. For example the vibrancy of colours will be effected by the texture and surface they are being applied to. Similarly screen printing on to a fabric may not allow you enough colours to achieve what you could out of 4 colour process on a card. If after due consideration the card designs are felt to have the potential to be used on gifts the final decisions are the practical ones of having the time, skill and energy to manage a project like this, the money to finance the investment in stock and somewhere to store it! Of course it is quite possible that this process could happen in reverse and a great gift design can be suitable for cards. Happy Jackson is a good example of this, where Pigment licensed the incredibly successful and well recognised brand to use on cards. 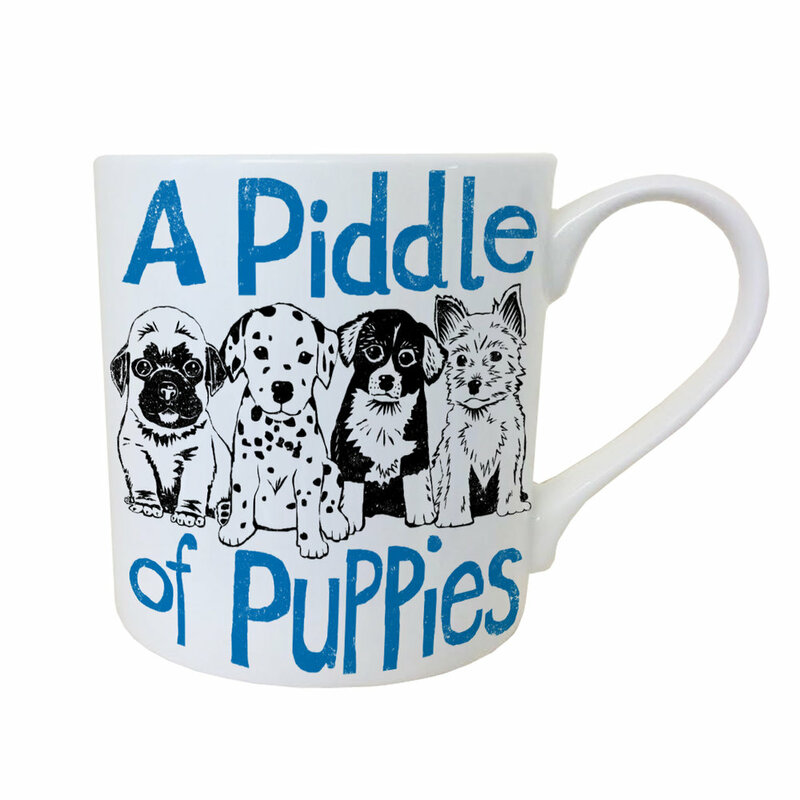 Likewise Emma Bridgewater’s ceramics designs are often developed into card ranges to. And at Top Drawer the new entrant to the stationery market Laura Stoddart was asked if she would use her beautiful designs to create a range of greetings cards; she is working through the costings as you read this! Newer PostWhat can Craft Producers offer Retailers?